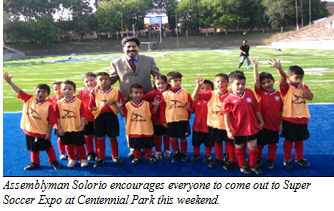 The Santa Ana Soccer Association, Santa Ana Youth Soccer Association, and Assemblyman Jose Solorio invite everyone to Super Soccer Expo 2010, a colossal event featuring soccer clinics, youth and adult soccer tournaments, resource fair booths, and entertainment for the whole family. The two-day, family-friendly celebration is free. 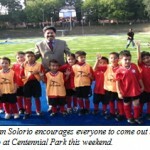 Assemblyman Solorio encourages everyone to come out to Super Soccer Expo at Centennial Park this weekend. The 52nd Garden Grove Garden Festival is one of the largest and oldest community festivals in the western United States. Carnival rides, contests, celebrities and plenty of music will combine to make this the best Strawberry Festival yet. Don’t miss the Strawberry Festival Parade on Saturday morning. The parade begins at 10:00 a.m. at Ninth and Chapman. Friday, 1:00 p.m. – 10:00 p.m.
Monday, 10:00 a.m. – 9:00 p.m.